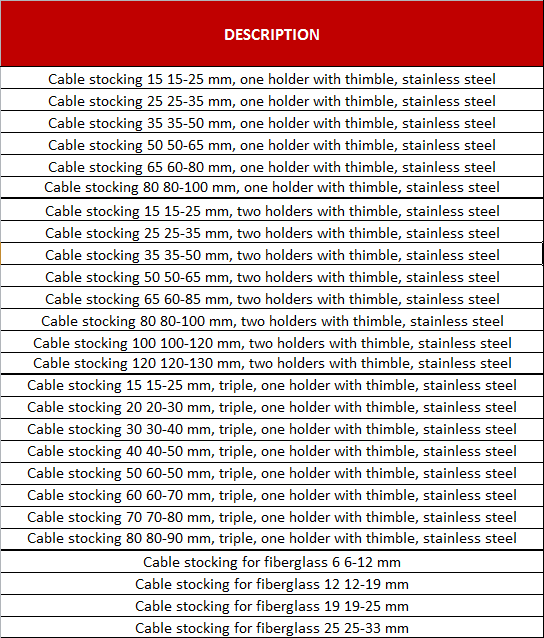 Cable stocking are used to pulling cables. The design of cable stocking allows to hold the wire without damaging it. During the operation Cable stocking clamped on the cable and allows its pulling. 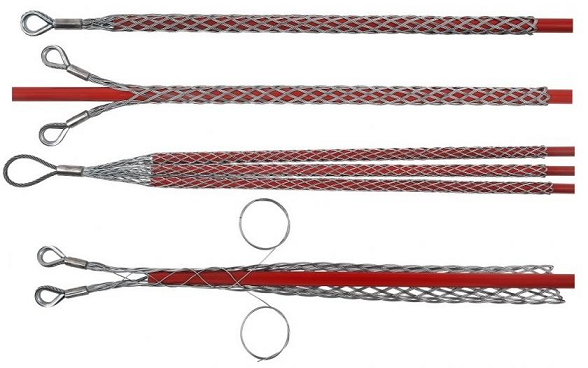 After working and stopping the pulling, cable stock loosens and allows for disconnecting it from drawn wire.